a current philosophical bibliography originally intended for internal use only, which contains a very positive review of a scientific text by Sahra Wagenknecht (page 9, section 12.2). These are philosophical texts and not relevant to those who have subscribed to my newsletter because of their interest in formal logic and mathematics. I am pleased to announce that the software implementation of the mathematical logic R0, a further development of Peter B. Andrews’ logic Q0, is now available. The syntactic features provided by R0 are type variables (polymorphic type theory), the binding of type variables with the abstraction operator and single variable binder λ (type abstraction), and (some of) the means necessary for dependent types (dependent type theory). with p of type (ot), or t -> o [p. 359 of http://doi.org/10.4444/100.10.2]. Furthermore, the enhanced expressiveness provided by R0 avoids the circumlocutions connected with preliminary solutions like axiomatic type classes recently developed and discussed for Isabelle/HOL. The expressiveness of type abstraction also replaces the notion of compound types, which in HOL are used for ordered pairs (the Cartesian product, cf. [Gordon and Melham, 1993]), that in R0 can be formalized without compound types [cf. pp. 378 f. of http://doi.org/10.4444/100.10.2]. R0 has an intuitive method of type introduction, which does not require the additional axioms of the HOL type introduction mechanism: “Whenever a theorem of the form po𝛼e𝛼 is inferred […] (which in set theory is expressed by e ∈ p) […] p is acknowledged as a type” [p. 11 of http://doi.org/10.4444/100.10.2]. R0 “follows Andrews’ concept of expressiveness (I also use the term reducibility), which aims at the ideal and natural language of formal logic and mathematics.” [p. 11 of http://doi.org/10.4444/100.10.2] Therefore R0 is, unlike most other implementations, a Hilbert-style system, opting for expressiveness instead of automation. R0 implements the philosophical program of Russell’s and Whitehead’s Principia Mathematica, logicism, i.e., the reduction of mathematics to formal logic, and even more, generalizes this idea by reducing formal logic itself to a few principles. With a size of less than 100 KB, it is the smallest proof checker or interactive theorem prover, including the current versions of John Harrison’s HOL Light, Mark Adams’ HOL Zero, Norman Megill’s Metamath, and Freek Wiedijk’s reimplementation of Automath. R0 and PVS are the only implementations based on classical type theory with some form of dependent types. Also, R0 and PVS are the only implementations based on classical type theory with mathematical entities that may have different types (or which have at least some form of subtyping). Unlike in Coq, in R0, no use is made of the Curry-Howard isomorphism, favoring a direct (unencoded, and hence, natural) expression rather than the encoding of proofs. For the same reason, it is an object (fixed) logic and not a logical framework (such as Larry Paulson’s Isabelle and Norman Megill’s Metamath). Like in Cris Perdue’s Prooftoys [http://prooftoys.org, http://mathtoys.org] – a natural deduction variant of Andrews’ Q0 – in R0, the turnstile symbol is replaced by the logical implication [p. 12 of http://doi.org/10.4444/100.10.2]. 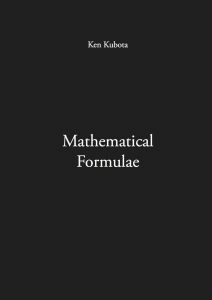 “being able to correctly parse formulas that it printed itself” [Wiedijk, 2012, p. 85]. R0 is, like Automath, a mere proof checker (practically without any automation at all). I am pleased to announce the publication of the mathematical logic R0, a further development of Peter B. Andrews’ logic Q0. The syntactic features provided by R0 are type variables (polymorphic type theory), the binding of type variables with the abstraction operator and single variable binder λ (type abstraction), and (some of) the means necessary for dependent types (dependent type theory). The introduction can be found on pp. 11 f.
Furthermore, the enhanced expressiveness provided by R0 avoids the circumlocutions connected with preliminary solutions like axiomatic type classes recently developed and discussed for Isabelle/HOL. The expressiveness of type abstraction also replaces the notion of compound types, which in HOL are used for ordered pairs (the Cartesian product, see section 1.2 of http://freefr.dl.sourceforge.net/project/hol/hol/kananaskis-11/kananaskis-11-logic.pdf), that in R0 can be formalized without compound types [cf. pp. 378 f. of http://www.owlofminerva.net/files/formulae.pdf]. Like John Harrison’s HOL Light, R0 has an extremely small kernel. R0 resembles Norman Megill’s Metamath, which “attempts to use the minimum possible framework needed to express mathematics and its proofs.” (http://us.metamath.org/) For the same reason, R0 is, unlike most other systems, a Hilbert-style system. Unlike in Coq, in R0, the Curry-Howard isomorphism is not used, favoring a direct (unencoded) expression rather than the encoding of proofs. For the same reason, it is an object logic and not a logical framework (such as Larry Paulson’s Isabelle and Norman Megill’s Metamath). Like Cris Perdue’s Prooftoys (http://prooftoys.org, http://mathtoys.org) – a natural deduction variant of Andrews’ Q0 – in R0, the turnstile symbol is replaced by the logical implication [p. 12]. From time to time, I receive requests from mathematicians for recommendations on scientific literature. My recommendation is always chapter 5 of Andrews’ 2002 textbook, in which the higher-order logic Q0 is presented [Andrews, 2002, pp. 210–215], and elementary logic developed (e.g., the derivation of the rule of Modus Ponens [p. 224]). For the full reference, please see the overview. 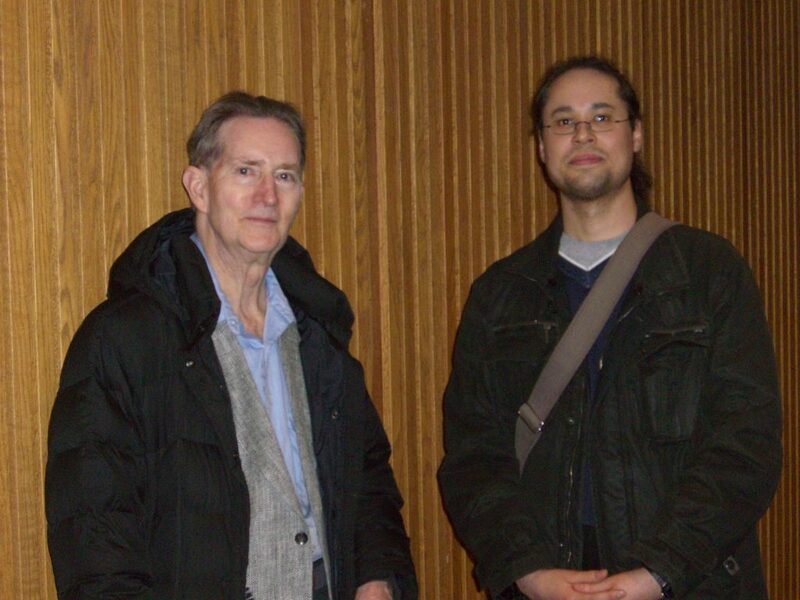 The picture above with Peter B. Andrews and me was made on January 14, 2010, at Carnegie Mellon University in Pittsburgh, Pennsylvania (USA). It is published first here in 2017. Professor Andrews is the creator of the higher-order logic Q0, the leading mathematical system in terms of elegance and expressiveness among the logistic systems publicly available as of today. Formal logic and most of mathematics can be expressed in it in a very natural way, on the basis of two primitive symbols only (identity/equality and its counterpart, description). For an overview about logics including Q0 and R0, please see the Foundations of Mathematics (Genealogy and Overview). I would like to thank Peter for his kind permission to place the picture on my homepage.